Our vision was to create spaces that would facilitate meaningful connections between guests of the Village, while celebrating the surrounding nature. Designed to be the ultimate showcase of paradise, the Penthouse is situated in the original Maderas Village property structure and features unparalleled views of the Pacific and the rest of the Village at large. 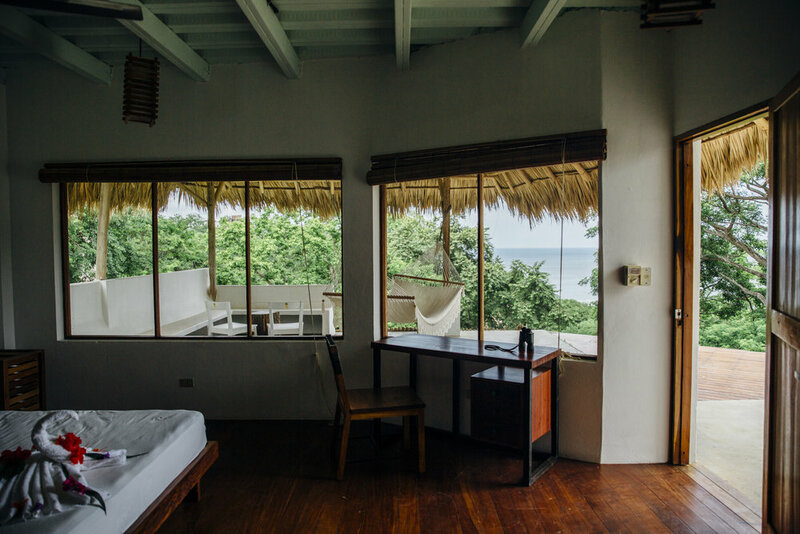 A favorite spot to check which way the surf is breaking, the suite comprises a full private level including bench seating, an infinity terrace, a rooftop garden, and a spacious, open bedroom (225 sq ft) with an en suite washroom. 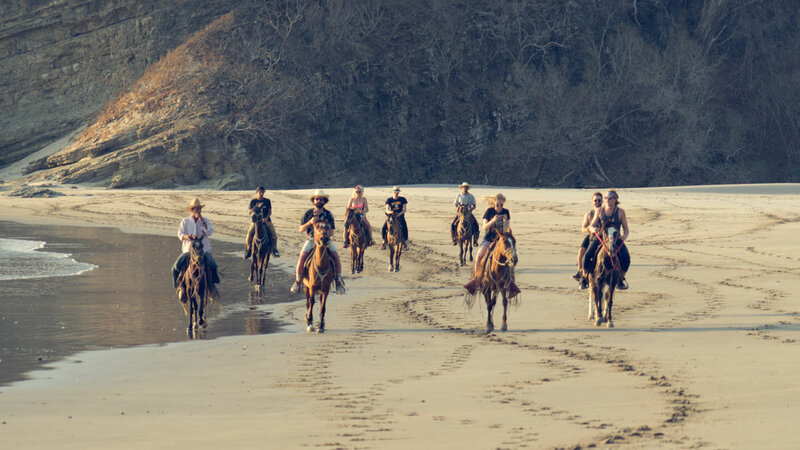 Free from distractions and the constraints of daily schedules, meals here give us a chance to slow down and enjoy the fresh tastes and local flavours of Nicaragua. Our menu is in constant evolution, with each dish or drink designed with one goal: to allow us all to eat and drink here every day and still look forward to the next meal and enjoy ever cocktail. To ensure this level of quality, we only buy the best of what’s in season and available from local farms and markets. Occasionally, this leads to items being unavailable, but we prefer to serve only that which is the freshest and best tasting. We serve Breakfast and Lunch a la carte. Breakfast is available all day, and lunch is available between 11:30am – 4:30pm. Dinner is served family-style each evening at 7.45pm. Our main lobby doubles as our restaurant and communal bar, which is designed to seat 40 comfortably. Enjoy our outdoor seated garden with a cold beverage and a book from the in house library. 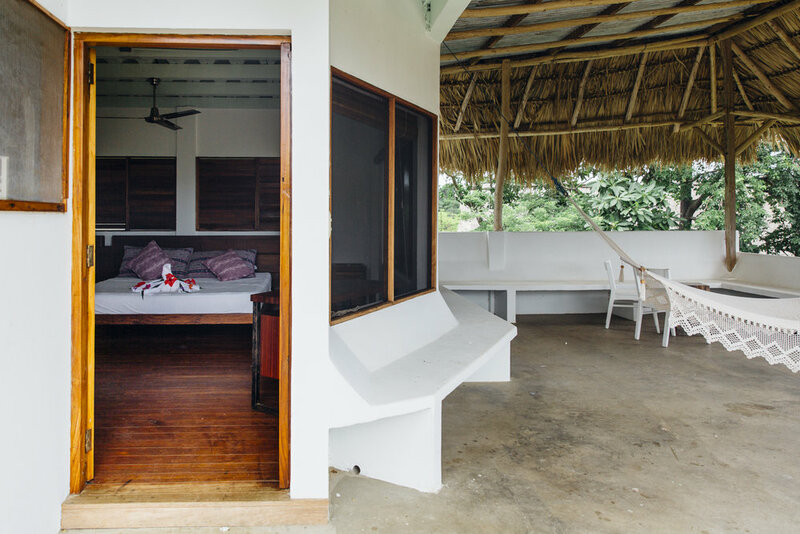 Maderas Village has a 40 person open-air yoga shala located in the middle of the jungle. Daily yoga is offered each morning year round. Afternoon classes are offered sporadically. Feel free to check in ahead of time for the weekly schedule. Private sessions can be arranged upon request. Common Spaces are scattered throughout the property including our Meditation Space & Artist Studio in Casa 1, Shared Work Space in Casa 2, and Reading Nook in Casa 3. Located in the main lobby, the Maderas Village Store has a few knick-knacks and trinkets from across the world including accessories, jewelry, shoes, apparel, and surf supplies. Great for gifts to bring back home or a little something to treat yourself!